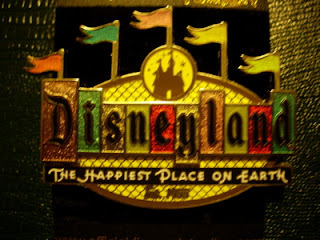 This is a Disney Pin portraying the Disneyland Marquee that sits outside of Disneyland Resort (and is seen from people driving down Harbor Blvd.). This marquee has been redesigned a few times over the years at Disneyland....I still like the original one the best. This pin has elements of the old and new ones. This is one of my favorite pins.